Let's get ready for the biggest intense fights of the One Piece World. 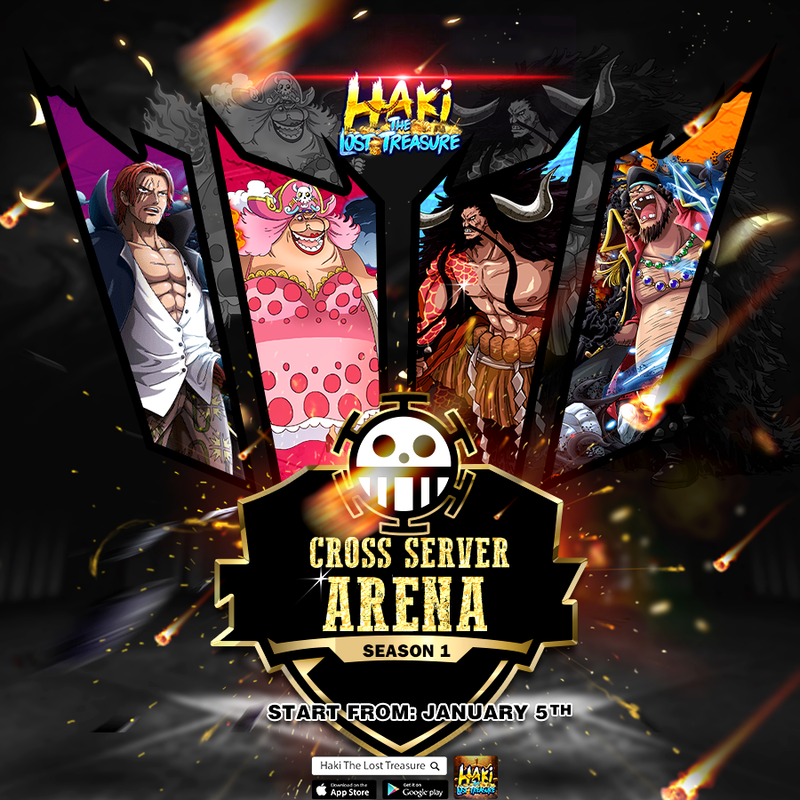 It's Cross Server Arena. - TOP 5-8: 60 SHANKS PIECES+ 1,250,000 Beri + 600 Refine Stone. - TOP 9-16: 40 SHANKS PIECES+ 1,000,000 Beri + 500 Refine Stone. ➡All of captain whose level and server meet our requirements shall be able to join the tournament. ➡There are 5 rounds of Cross Server Arena in total: Qualification Round, Round of 16, Quarter Final, Semi Final, Final). ➡In case we could not pick up 16 qualified Captains by the end of Qualification Round, the tournament shall be called off automatically. ➡During the tournament, players can bet on whoever they think is going to be the champion. The earlier you bet the higher rate you can get. ➡By the end of the tournament, participants reaching Top 16 will be rewarded according to their ranking position.